A Krafty Kash Discount for You! As you well know, I am a fan of Krafty Kash’s custom jewelry. I like the way the pieces tell a story through words. 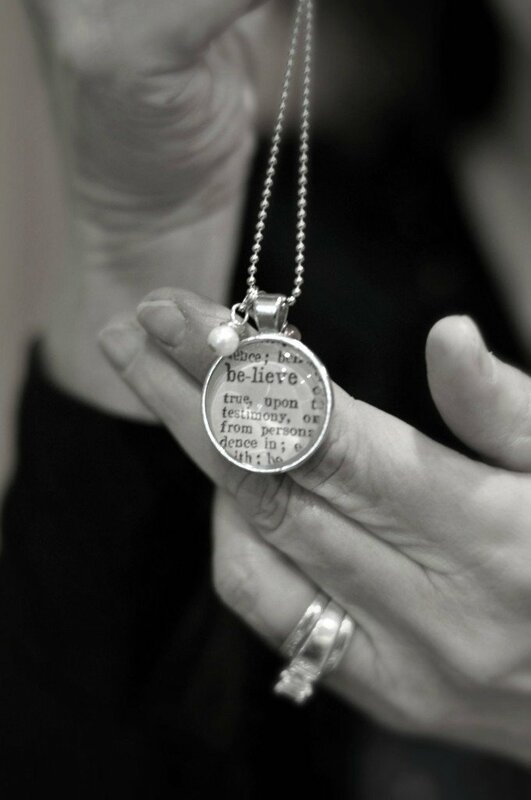 I often get stopped and asked about my word necklaces—they are great conversation starters. This year I purchased a One Word necklace, “Listen”, to help me stay focused on this concept throughout the whole year. Speaking of listening, in one week we will welcome the words of a talented midwife for the next installment of the Listen Close, Listen Well series. Krafty’s jewelry is unique, creative and affordable. Because I am an affiliate with Krafty Kash I can offer you, my readers, an on-going discount on your purchases through Krafty’s store! Use code: “katiemreid” at checkout and you will receive a 10% discount. *The coupon can be used on all products but not on gift certificates and cannot be combined with any other offers. This is my way of saying thanks for reading. The life of a writer is a winding one and you being on this journey with me helps keep me going when I’m discouraged. Several months ago I met up with my Life Coach, Darlene, for lunch. It was around Christmas time and I wanted to say “thank you” to Darlene for letting God use her gifts to help me get unstuck in areas where I was being held back. Prior to lunch, I was in the shower—where I get most of my great ideas—and felt prompted to give Darlene one of Krafty’s necklaces. Only God knew how meaningful this word necklace would be to my Life Coach. P.S. Have you read my memoir piece about my brother, “Extra Salt on the Fries”? 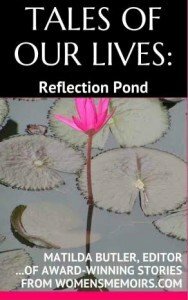 It can be purchased via the women’s memoir anthology, “Tales of Our Lives: Reflection Pond” by Matilda Butler. It is available on Amazon for only $ 3.99. If you have read it would you consider leaving an honest review on Amazon? Thank you!